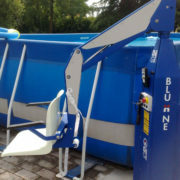 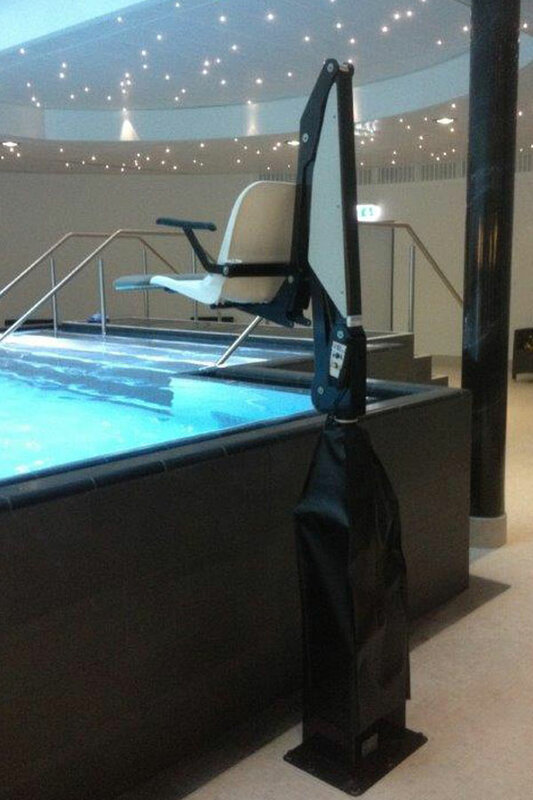 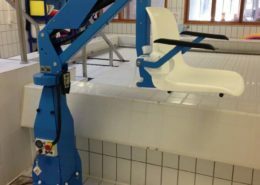 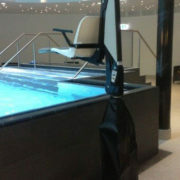 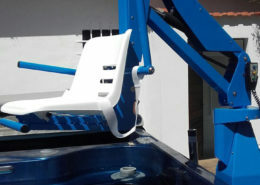 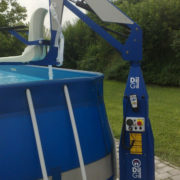 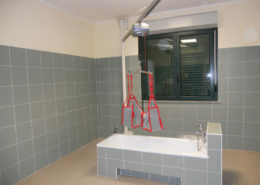 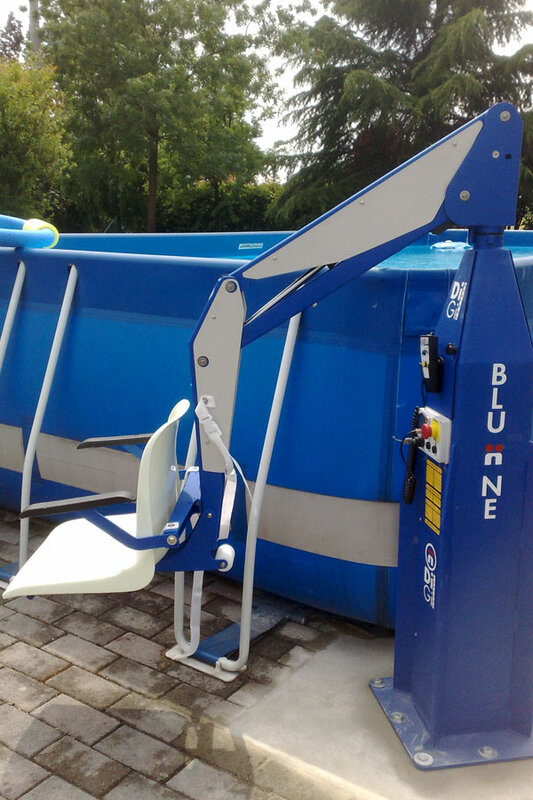 The F100 fixed pool lift enables the disabled person to get into the water thanks to its solid and rotating structure. 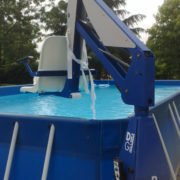 It is recommended for above ground outdoor pools either made of canvas, plastic or wood. 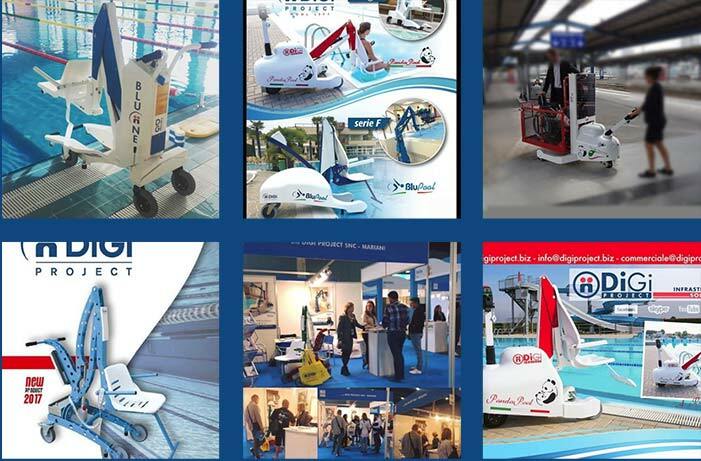 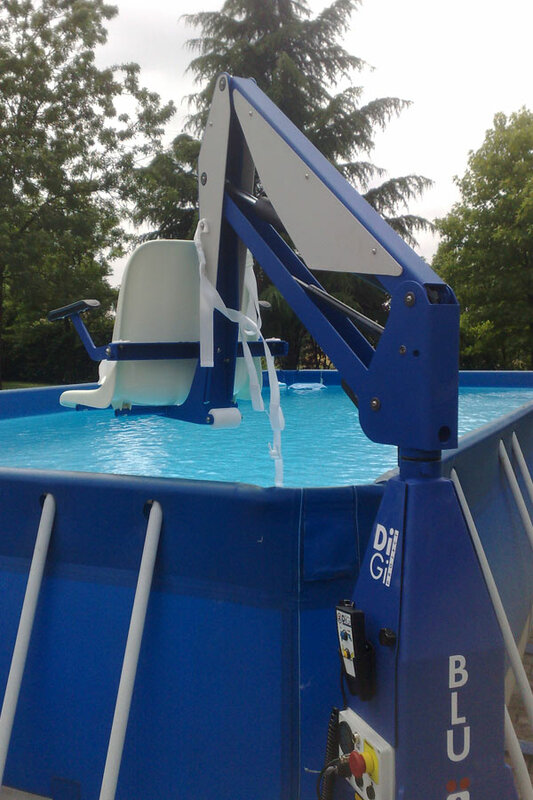 It can be customized according to the type of pool and to the height. 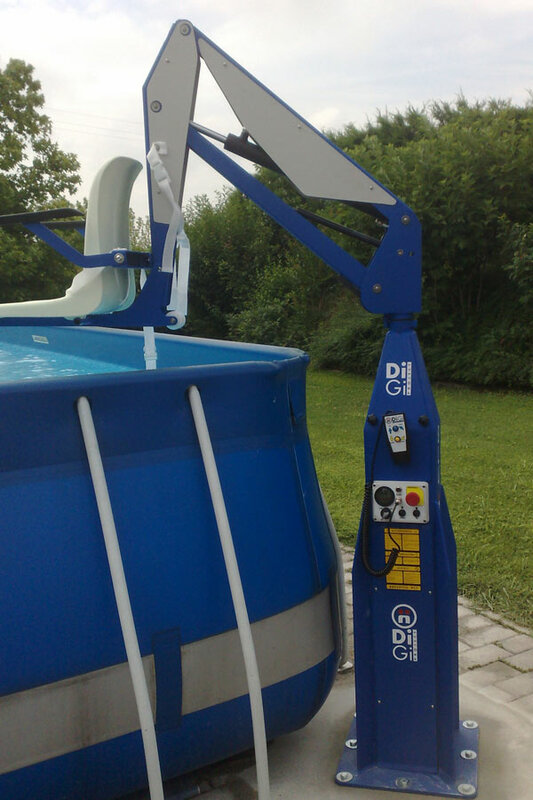 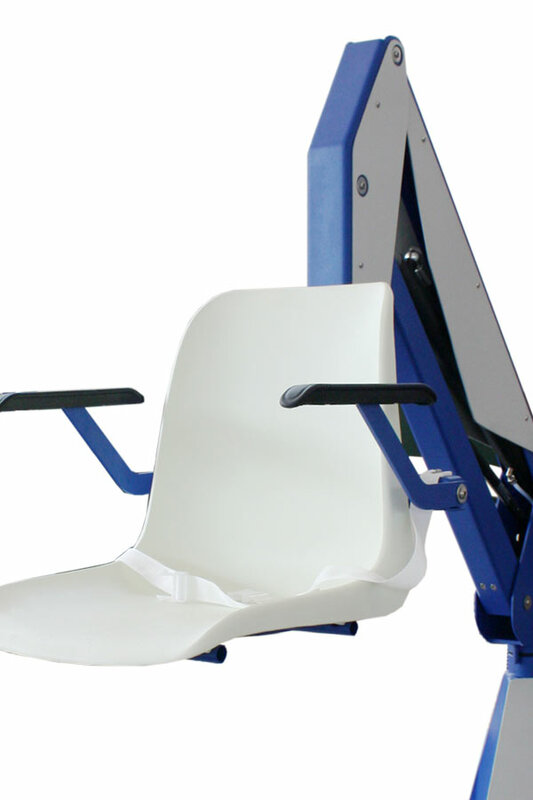 The lifting arm has a manual rotation, while the up and down operations are controlled by a spiral cable button panel. 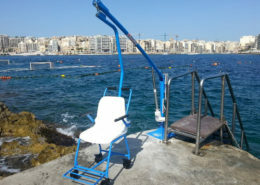 The anchorage has always to be made to a reinforced concrete floor by means of 8 pins or to a 60x60x60 cm concrete plinth. 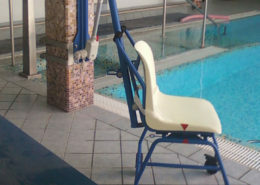 Time of lowering with weight: 23 sec. 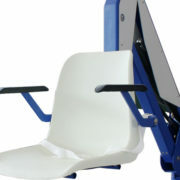 Time of lifting with weight: 17 sec.